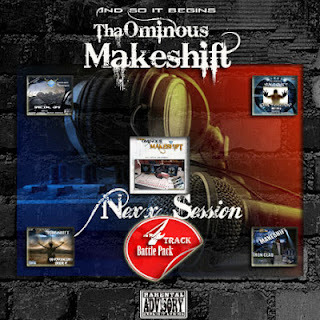 I'm excited to announce the release of Tha Ominous Makeshift's My Nexx Session's 4 Track Battle Pack ! The Intention is give listeners a exclusive sneak peek into the My Nexx Session project due out Sept. 11th, 2012 ! Below is the LINK to Tweet his Songs , a Easy and Efficient Player that is user friendly and easily accessible for Downloads ! All 4 Tracks are FREE ! 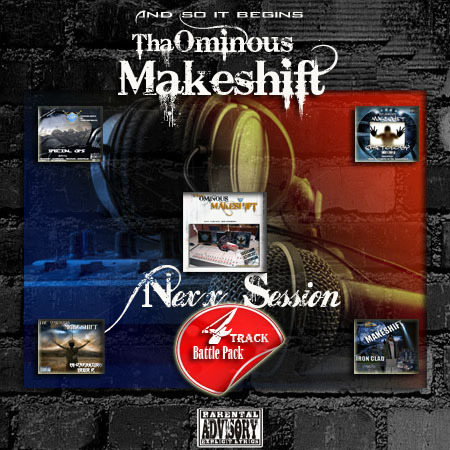 So take Advantage of this 4 Pack , Listen, Download & most importantly ENJOY ! Thank You All for your continued support and hope to hear from you soon ! ! ! !